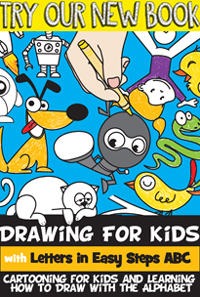 Check out our other Greeting Card crafts. 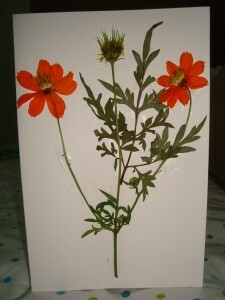 Make sure flowers are free from insects. 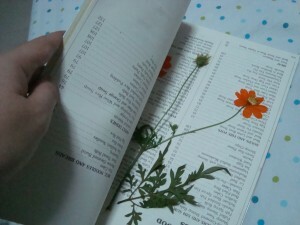 Arrange flowers and gently press it against the pages of the book. Leave it there for 2 hours or more. 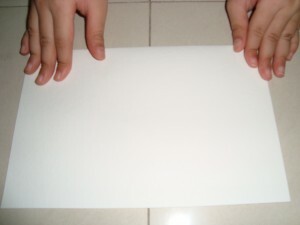 Fold paper crosswise so it resembles a greeting card. 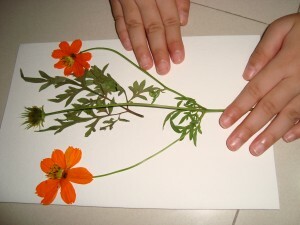 When the flowers are ready, gently take them out and place them in the front side of the card… this is to roughly measure if there is enough space. 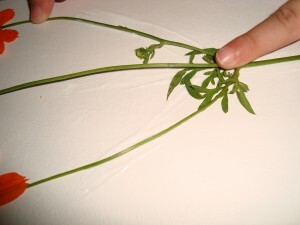 Trimming stems and leaves may be necessary to fit in the card. Be careful when holding the flowers as they are fragile. 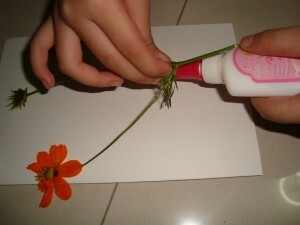 With a glue, slowly start tracing the stems first. 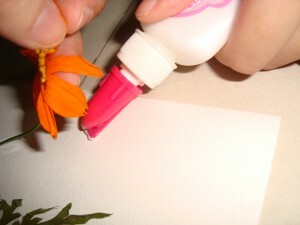 Let glue sit there for about a minute before placing flowers back. 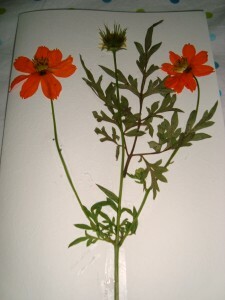 Then continue with the leaves, finishing with the flowers. 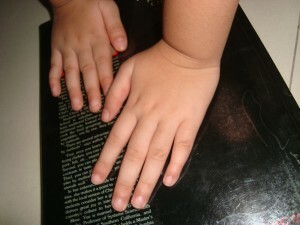 With all parts glued to the paper, press it again with the book and leave it for 30 minutes or so. Check if all flower parts are properly glued. 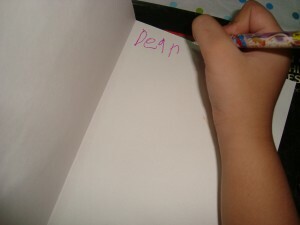 Then using a colored pen, write your message inside the card. And your card is ready! How beautiful is this card?! And, it is unique from any other card…. that makes this greeting card even cooler. You will find no other card like this. 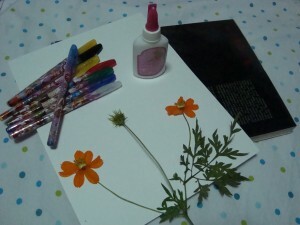 Now, who are you going to send your first Pressed Flower Card to?